One of the awesome things about camping is the wildlife. Sometimes it'll be rabbits around camp, other times squirrels or deer. We've even seen elk on the move some early mornings in the forest! 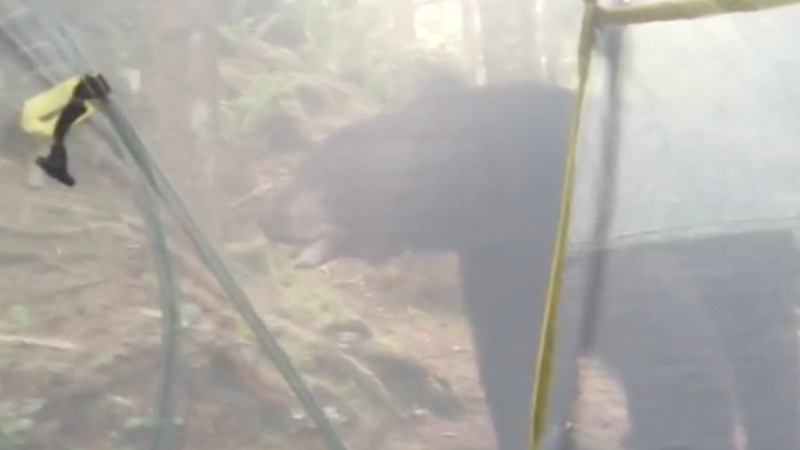 Even though bears get a bad rap, David Weale's early morning meditation in a Vancouver forest was thankfully only interrupted by a curious one with a "thing" for smoothies. He films his calm conversation with the bear just inches away, even as the bear starts toying with the flimsy fabric separating David and a possible mauling!